Thank you for visiting Soldier Props: Your filmmaking source for authentic military wardrobe and extras in Southern California. We are a private, non-union group of militaria collectors and historical enthusiasts available to provide services for film productions, documentaries, and historical event displays. Located within reasonable driving distance from Los Angeles and Hollywood, CA. 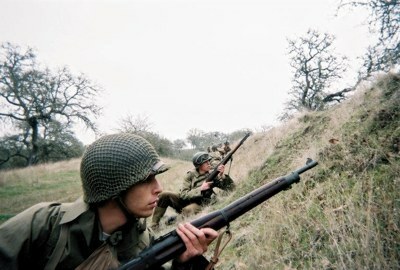 We provide specialized movie casting and period military extras.